An enchanting 1890’s dotted cotton and Val lace lingerie robe. 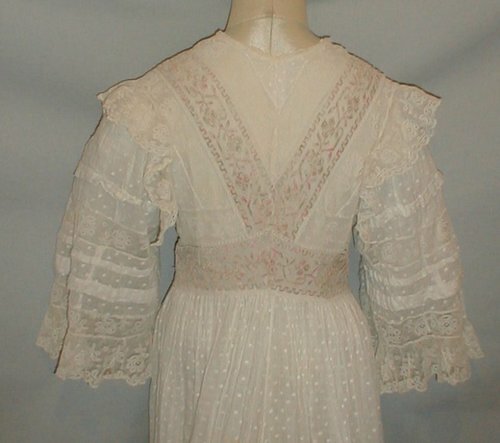 The front and back of the bodice has inserts of pink floral filet lace. 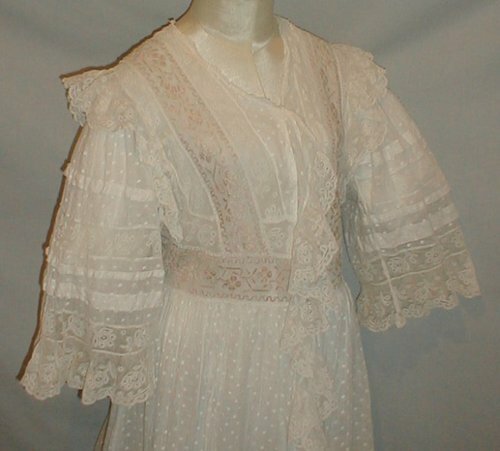 The sleeves have inserts of Val lace and a Val lace flounce. 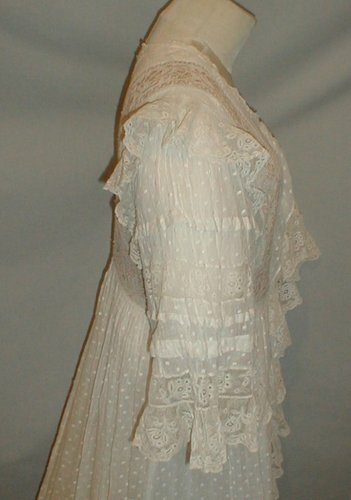 The front opening is trimmed with a Val lace ruffle. The lower edge of the skirt has Val lace inserts. 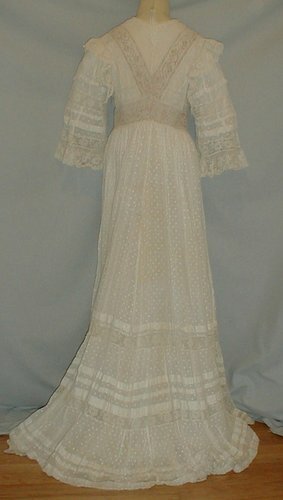 The robe is fully lined with cotton. 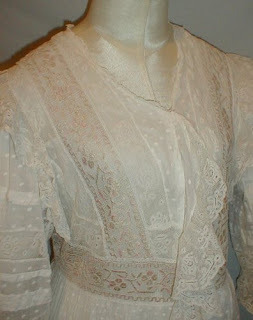 It has a front hook and eye closure. It is in very good and sturdy condition. 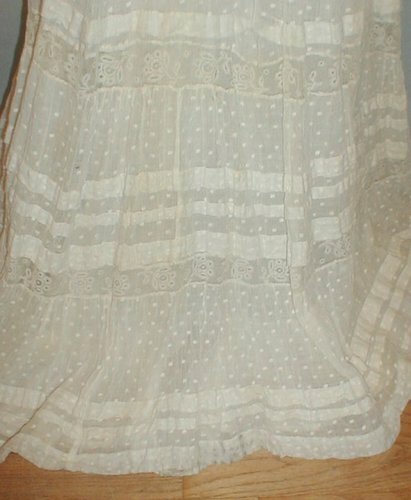 It has not been cleaned so there is some minor age discoloration on the skirt lining. There is one small area of soiling at the edge of the back hemline. 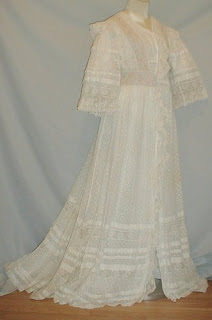 A beautiful garment for wearing or displaying. 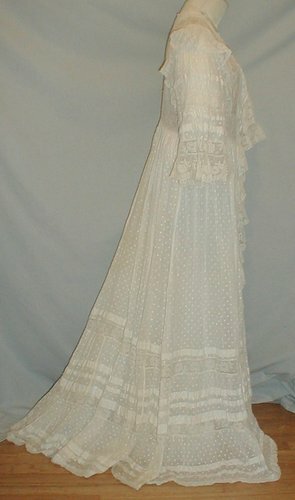 Bust 33 Waist 30 Skirt front length 40 Back length 45. I really think this is 1900's and not 1890's like the seller says. The way the skirt and bodice are constructed just look later to me.